Mom and Dad, we understand you are busy. Trying to schedule your life around a single spike night while juggling your work schedule and your other children's sport schedules can be practically impossible. That's why Fleet Feet Annapolis and Severna Park offer our youth athletes a Spike Month, an entire month of savings. 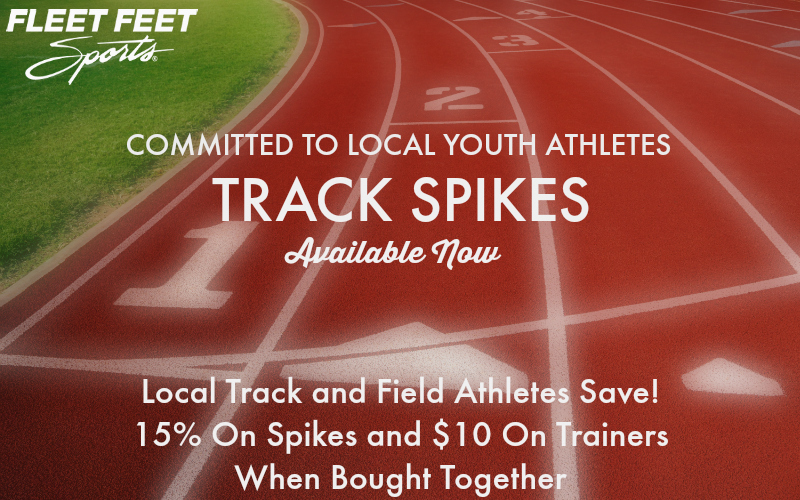 From February to March 30th save 15% on a pair of spikes. Get $10 of your trainers if you buy them at the same time.